The effect was truly beautiful, since the church of Aranno, where I live in southern Switzerland, has an exceptional acoustic. When I returned home, I wrote on paper the thirteen notes that you see above. I immediately decided to develop that motive, and create from it an Alleluia which I dedicated to my friend and wonderful conductor Andrew Crane and his Brigham Young University Singers. 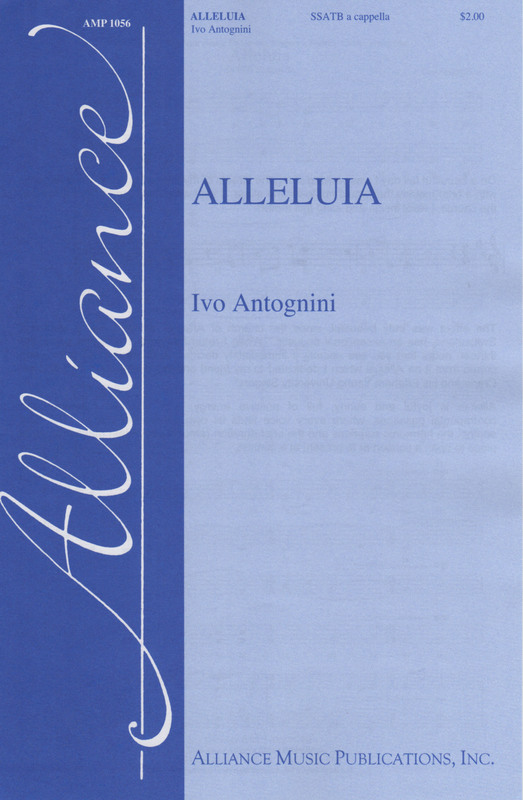 Alleluia is joyful and sunny, full of positive energy, with rhythmic moments and contrapuntal passages, where every voice finds its own expressive space. The fiery ending, the harmonic surprises and the brief duration (around 3 minutes) make it an ideal piece to open a concert or to present at a contest. To hear a recording of “Alleluia” on YouTube click here..